Typical applications include chips and shavings. 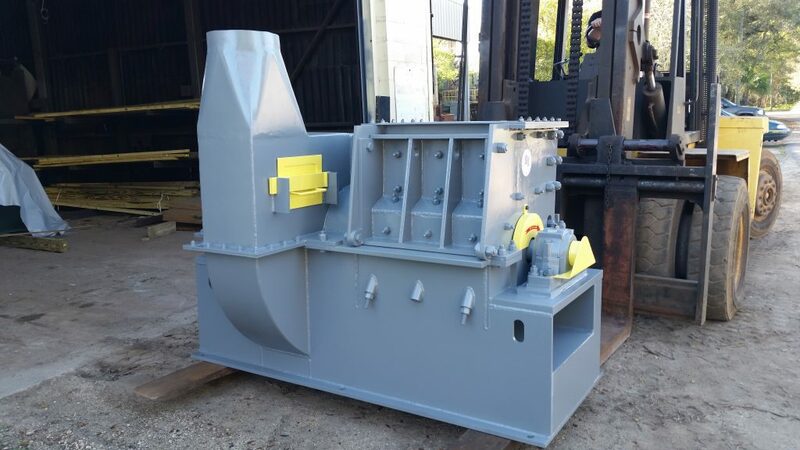 The rechipper is a modified HD hog with a more aggressive cut, hardsurfaced ring lugs and abrasion resistant wear lines in the cutting chamber. The HD series uses HD-GM rings with an 18-3/4” cutting circle and a steel flywheel for stored rotational energy to power through momentary surge loads. The discharge material can typically be conveyed up to 100 feet into a cyclone, truck, or open field using the #40, #50 or #60 Integral Fan.